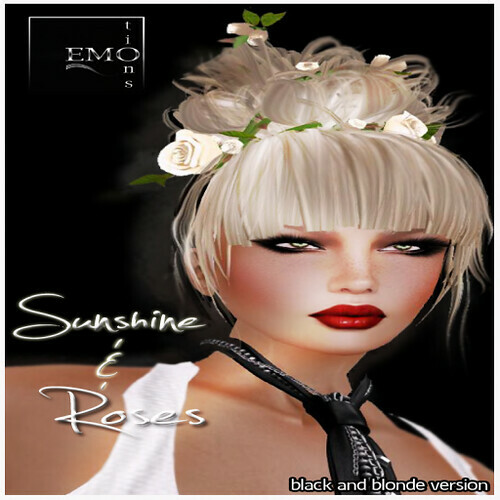 Last 8 hours of the My Attic ‘Memories of Love & Lust” edition, as well as the last 8 hours of the HUGE 50% of Everything at W.Winx Home and Garden @ The Deck. You do not want to miss out on all the great items from that store, including the latest Mendora Set that is partially mesh and on display at the front of the store. New GIFT at Adorkable Poses @ The Deck, do not miss out on this wonderful gift now available, intended for bloggers, but who doesn’t think many of those things ? Wonderful Poses included and so many bubble options, get it now. Also a reminder for those that may not know, My Attic May Edition has started…info below. 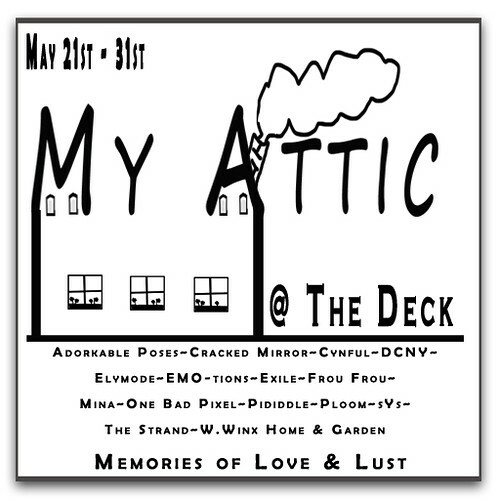 The Deck sim is proud to announce ‘My Attic- May Edition” an event that starts NOW on the 21st of May and ends on the 31st of May. The theme this session is “Memories of Love & Lust” some of our wonderful tenants and four special guests have made items that fit within this theme and their own creative influences. All items will be 95L for the duration of the event, and will then go to regular store prices afterwards. We hope that you may join us during this time, and get some amazing bargains in the process. The build for ‘My Attic” was built by Whimsy Winx who did an amazing job. 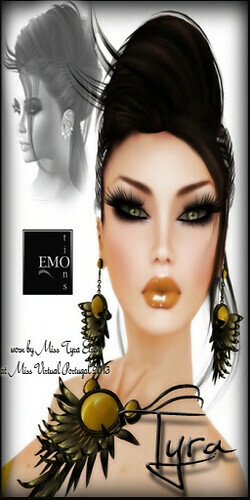 Stunning new Hair and Gowns now available at EMO-tions @ The Deck. The hairstyles all have demos available to try before you buy, and Saskia I could not resist myself, so definitely seek that out in the corner of the store. Also a reminder that W.Winx Home & Garden is having a huge 50% Off everything including their most recent release, so check that out while you are visiting. 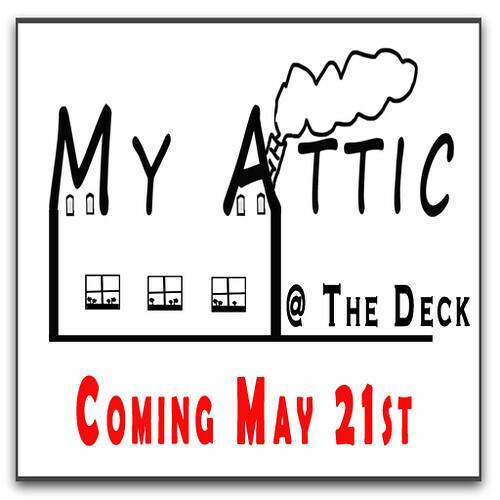 Also flag your calendars because the next installment of My Attic @ The Deck starts on May 21st …and the items are beautiful. SALE SALE SALE on now at W.Winx Home and Garden Store. All items are 50% Off including the NEW Mendora Set which is a partial mesh build, with 5 texture change cushion colours, and 2 wood options, as well as 12 sits included. All items in the store are reduced – DEMO Rezzer available on the second floor rezzing bay area. 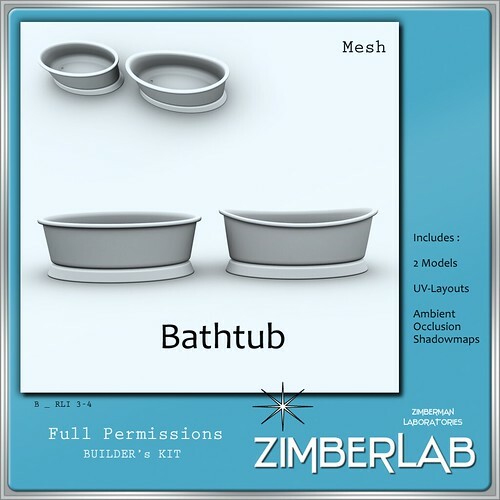 New FULL PERM MESH Kits now available at ZimberLab Main Store @ The Deck. 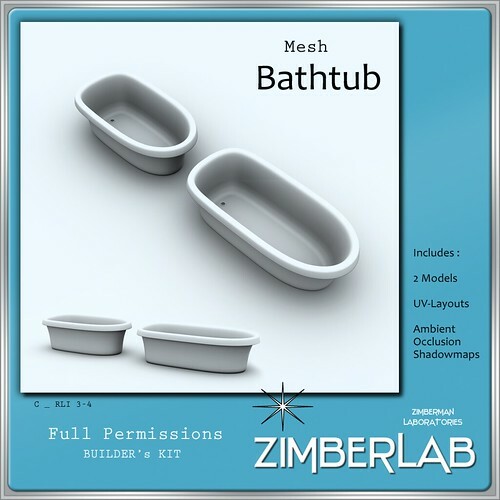 These full perms mesh bathtubs are great for adding to your home builds, or just using them for when you have a party and need more ice for the beer. The Shower/tap faucet set is just beautiful and will add a touch of class to your home. Come and see them on display at the store. 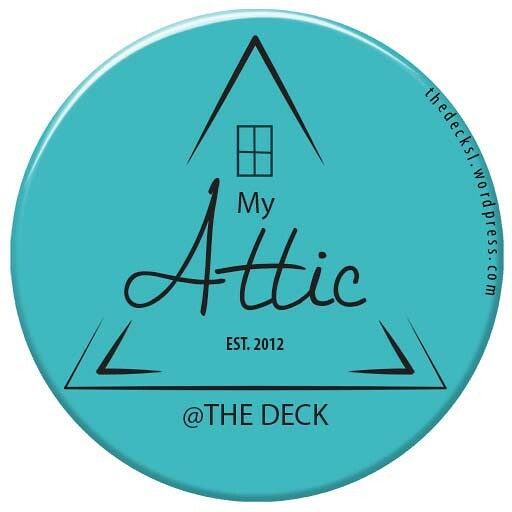 TP to the MY ATTIC @ The Deck Subscriber to keep up to date on all My Attic announcements.